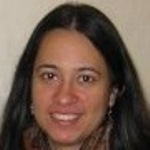 Deepta Chopra is a Research Fellow at the Institute of Development Studies (IDS). She is involved with ESID on a research project examining the political determinants of MGNREGA’s implementation, leading the qualitative work on this project. Deepta is a social policy researcher, with a focus on rights-based policies and programming. She has extensive experience in policy analysis from a political economy perspective, mainly around state-society relations in the making and implementation of the Mahatma Gandhi National Rural Employment Guarantee Act (MGNREGA) and the Food Rights Act in India. Deepta leads the gender work at IDS on women’s and girls’ empowerment, with her research interests focussing on gendered political economy analysis of policies for the empowerment of women and girls, and its core links with unpaid care work. In addition, Deepta is a core group member of the Centre for Social Protection at IDS, and has recently published an edited book, Development and Welfare States in South Asia. She works closely with state and non-state partners in South Asia, and has designed, managed and implemented several research projects on social protection and economic empowerment. She has expertise on qualitative research methodologies, issues of power and participation, citizen engagement and governance and accountability issues. ‘Political commitment in India’s social policy implementation: Shaping the performance of MGNREGA‘, ESID Working Paper No. 50. Manchester. ‘They don’t want to work’ versus ‘They don’t want to provide work’: Seeking explanations for the decline of MGNREGA in Rajasthan‘, ESID Working Paper No. 31. Manchester. Rabi Thapa, with inputs from Indrajit Roy, Deepta Chopra, Kunal Sen and Anindita Adhikari (March 2015). ‘How commitment and class relations shape MGNREGA implementation in India‘. ESID Briefing 11. Chopra, D. (2014). ‘The Mahatma Gandhi National Rural Employment Guarantee Act, India: Examining pathways towards establishing rights-based social contracts‘, European Journal of Development Research 26(3): 355-369. Koehler, G. and Chopra. D (ed.) (2014). Development and Welfare Policy in South Asia. Routledge (Single authored chapters in the book include Chapter 6: ‘The Indian case: towards a rights based Welfare State’ and Chapter 12: ‘Welfare, development, rights in South Asia’). Chopra, D. (2011). ‘Policy making in India: A dynamic process of statecraft’, Pacific Affairs 84(1): 89-107. Deepta is the lead for the ‘Economic Empowerment of Women and Girls’ theme in the DFID-funded Accountable Grant; and primary investigator for the unpaid care work programme. She is also the course convenor for MA (Development Studies) and module convenor for the core course ‘Poverty Policy and Programmes’ at IDS. See Dr Deepta Chopra’s staff profile at IDS.